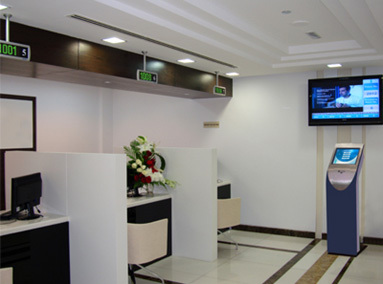 Are you facing challenges of unorganized customers waiting areas, increased customer waiting time, increased employee idle time, frustrated customers due to unfair serving, unable to monitor customer experience of a branch located in a distant location. In short are you unable to create a unique customer experience; which can be your competitive edge? If you find your system experiencing any of the issues mentioned here, then you certainly need our EQMS. Generally, customers do not like waiting endlessly without knowledge of when to be served. If your customers have to go through long and erratic queues for service delivery, it may not take long before you lose them to competitors that offer effective technology-driven quality service experience solution to manage their service expectations. Today, every organization is putting effort to improve Quality of service in other to better Customer satisfaction for the major reasons of customer growth and retention. As an organization if your most pain points remains creating a unique brand through effective customer experience for your walk-in customer, if employee performance monitoring and management of your various branch remains an herculean task; or is it becoming a real challenge for you to manage an increasing chaotic crowd of your walk-in clients, then Our efficient Queue Management Solution will help address all your challenges regarding customer flow, help create an homely environment while waiting to be served and thus create that befitting brand loyalty you need. Working hand–in-hand with the leading EQMS manufacturer in the industry, KITS is specially positioned to design, implement and support enterprise – wide electronics queue management solution and tailor it to your unique environment and requirements. Our solution is designed not only to address all customer management challenges but also help you create an environment where customers feel at home while waiting to be served. With our unique solution, we will redefine your customer experience and help you create a competitive edge. 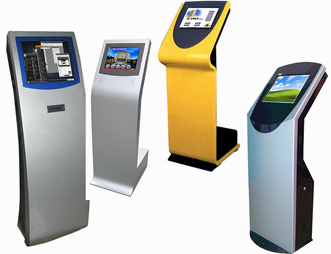 Our Queue Management Systems is a perfect fit for Telecom Service Centers, Government Institutions, health care centers, immigration offices, Transport Companies, government institutions, hospitals, retail outlets, airlines offices, embassies or any other organization where a heavy queue exists. Eliminate unwarranted client distress while keeping them delighted and happily organized while been served. Customers appreciate an efficient and systematic serving system. Customers do not like long waits without knowing when they will be served. Customers are less irritated if they know how long the wait will be. Clients are highly impressed with modern technology. Provides customers a more fulfilling, distinguished and overall satisfying experience. Increase customer satisfaction: research shows that customers are prepared to wait longer if seated rather than standing in a formal queue. The solution is designed to help you create a service delivery environment where customers can enjoy a memorable experience resulting into the highest levels of customer satisfaction and retention, consequently making them more loyal to your brand. Please complete the form below to get our EQMS quote.